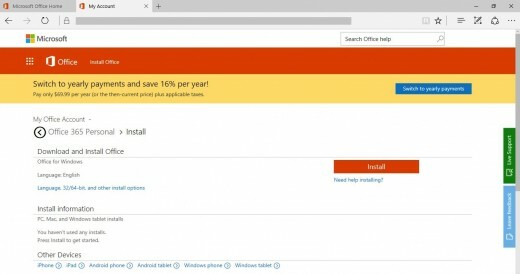 If you have a Microsoft Office 365 subscription, the odds are good that you also have the ability to install Microsoft Office on at least one computer. 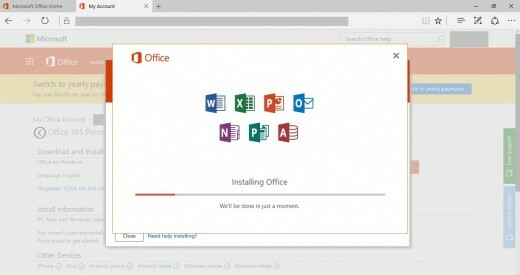 This installs desktop versions of the Microsoft Office suite of applications, which includes Word, PowerPoint, Excel, Outlook, OneNote, Publisher, and Access. 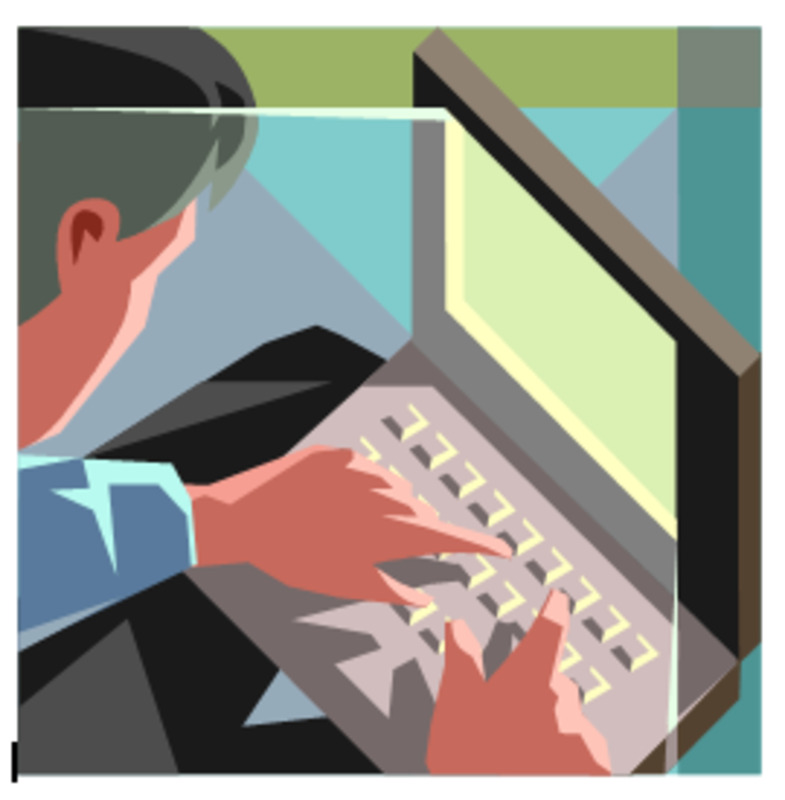 Using locally installed software is a good alternative for users who don't like accessing software through the Internet, or who may not always have access to an Internet connection to access the cloud versions of the applications. 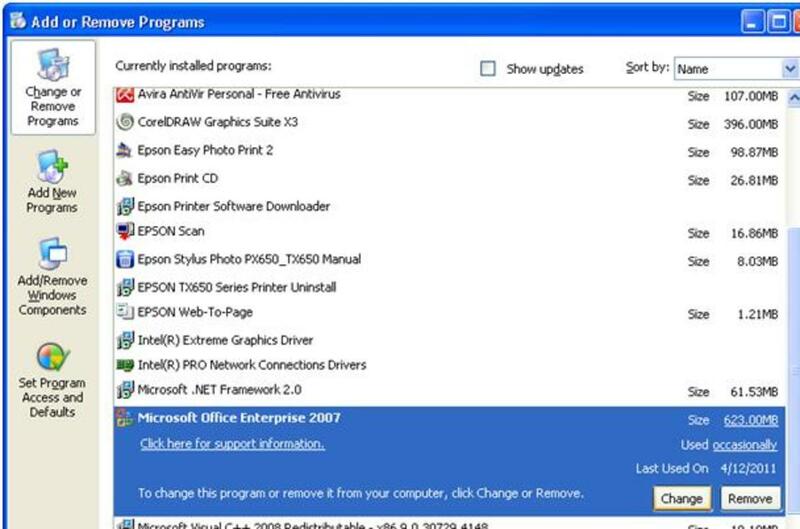 The downside to performing this install, however, is that you have to install the entire suite of applications, and you can't pick and choose specific applications to install. 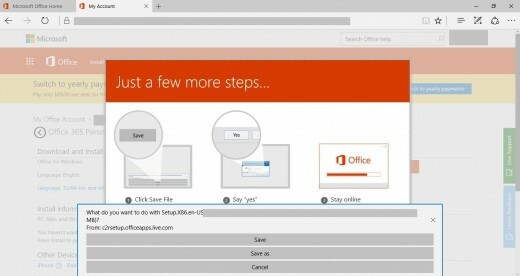 And now, the steps to install the suite of Microsoft applications locally on your computer if you have an Office 365 subscription. 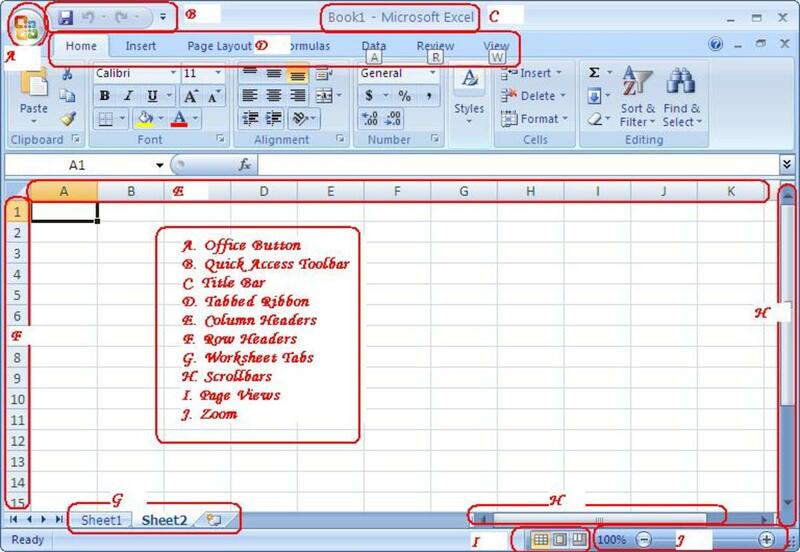 Open a Web browser on your computer, and then navigate to www.office.com. 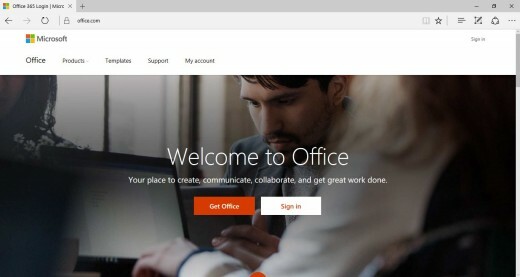 You'll land on a Microsoft page that says Welcome to Office in the center of it. Click "Sign In" in the upper right corner of the screen. 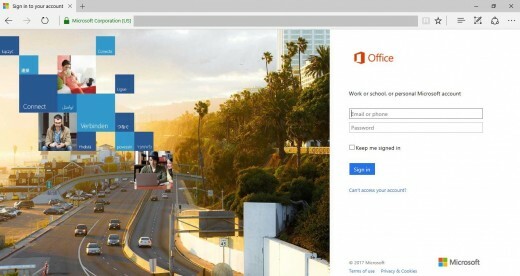 You'll land on a login page that prompts you for the email and password associated with your Office 365 account. 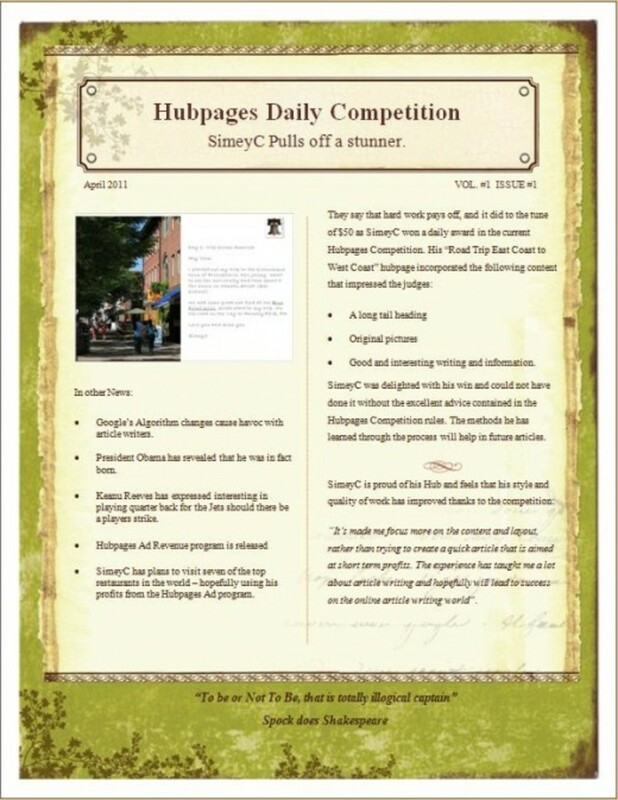 Enter the email associated with your Office 365 account. You'll automatically be shuffled to a separate Enter Password screen. 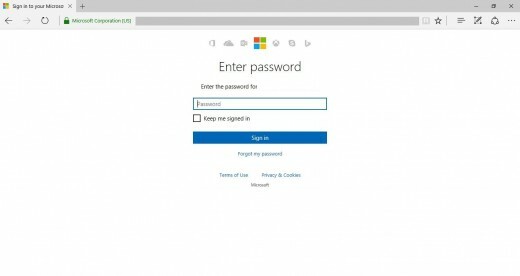 Enter the password associated with your Office 365 account, and then click "Sign In." 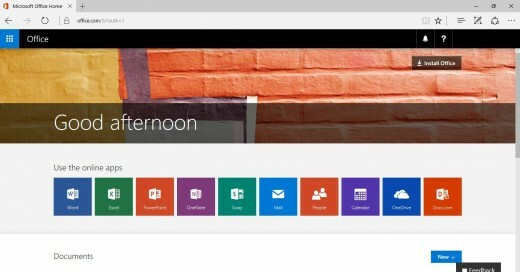 You'll arrive at the Microsoft Office home screen. 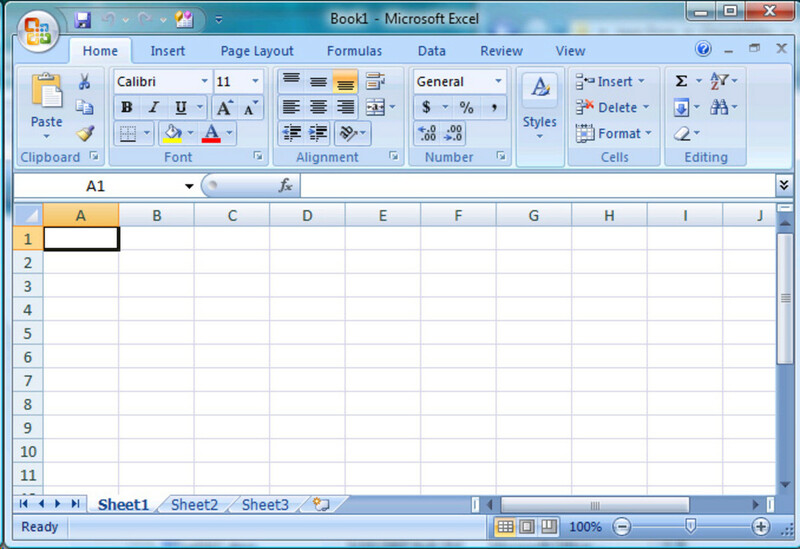 Click the blue "Install Office" button in the upper right corner of the screen. You'll be taken to the My Account screen. 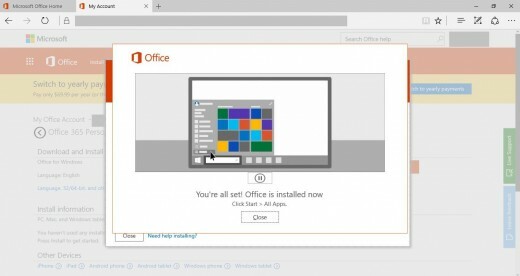 Click the orange "Install" button in the Download and Install Office section. A dialog box flys up from the bottom of the screen prompting you to download a setup executable file. Click "Save." Another dialog box appears after the download is complete asking if you want to run the executable file you just downloaded. 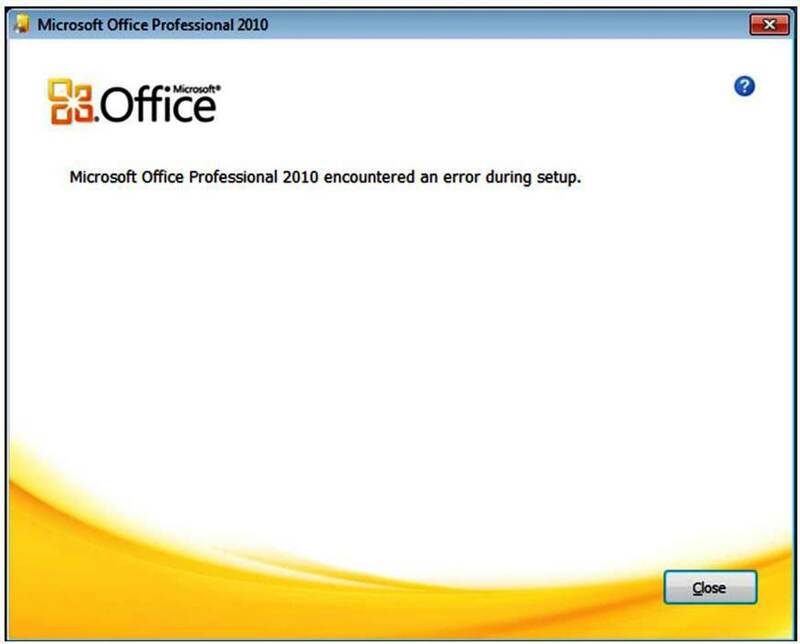 Click "Yes" in the dialog box that appears asking if you want to allow Microsoft Office to make changes to your device. 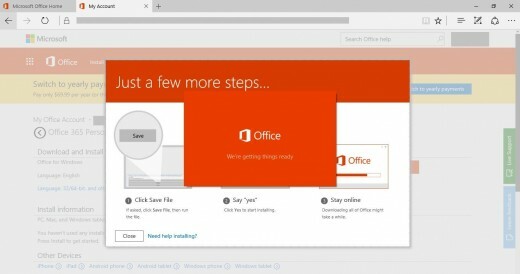 An orange Office window appears in the center of your screen informing you that Microsoft is getting your computer ready for the install. You'll see dots move across the center of the window while Microsoft is getting your computer ready. Additionally, this will take some time, and the window will disappear and reappear periodically while this work is being done. 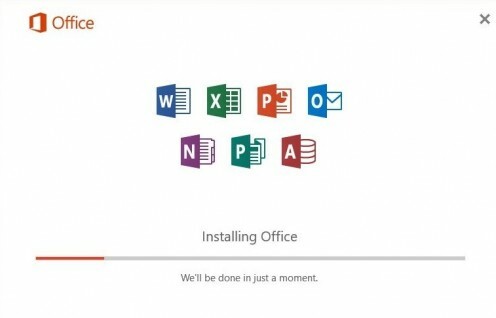 When your computer is ready, the orange window will disappear and an Office window that lists a handful of core Microsoft application icons and a progress bar appears. 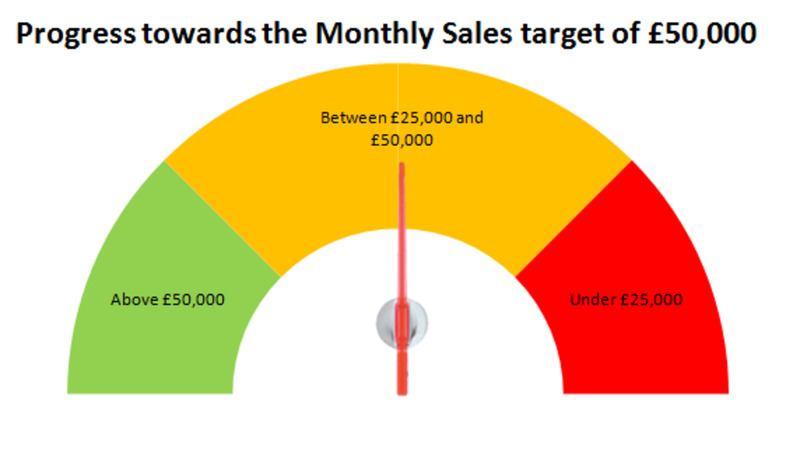 The progress bar appears toward the bottom of the window. An initial notification will appear, telling you that you can start using your apps, but some components are still installing, so you'll need to wait before restarting or shutting down your computer. Another notification will appear letting you know when the installation is completely finished. Click "Close" in the window that appears telling you that your install is all set. 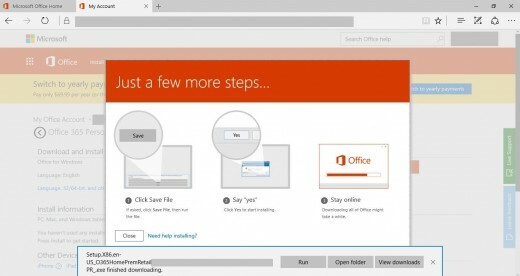 The desktop versions of the Microsoft Office applications are now installed locally on your computer, and can be run at any time.